Discover Sonoma County wine country, a world-class wine growing region with scenic vineyards and numerous tasting rooms. Known around the globe for high-quality wines, this spectacular area of California is one of the state’s top vacation destinations. Featuring more than 400 vineyards, Sonoma County is a stunning location for wine lovers. With immense diversity and distinctive characteristics, the wines of this region offer a broad array of tastes, textures and sensations to explore. You can also meander through the Healdsburg Wine Walk, which features over 30 wineries all within walking distance to each other. Wander the streets of downtown Healdsburg, and explore wine varieties from small production houses to large-scale vineyards – and everything in between. You’ll also find unique boutique shopping, art galleries, and renowned restaurants in this captivating destination. Discover the best of Healdsburg, and then return to our Tuscan-style hotel to relax. Unwind in an elegant room with plush bedding, flat panels TVs and mini refrigerators. Rooms with gas fireplaces, private balconies, and jetted tubs are also available. You’ll love our piazza with fountains and fireplaces, and we offer complimentary hot breakfast and free Wi-Fi for all guests. 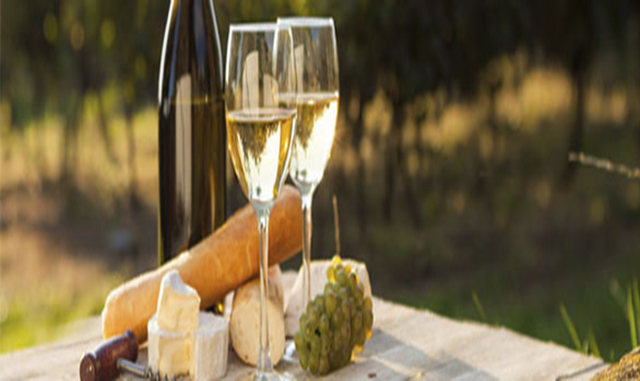 Do you have questions about the Healdsburg Wine Walk, or Sonoma County wine country? Would you like to know more about our beautiful hotel? Please contact us at your convenience by calling 1-800-222-5784 for more information, and to make your reservations today. Our staff is standing by to help you plan the ultimate wine country vacation.